The Flow is part of a stunning new 12 model range to suit all budgets. 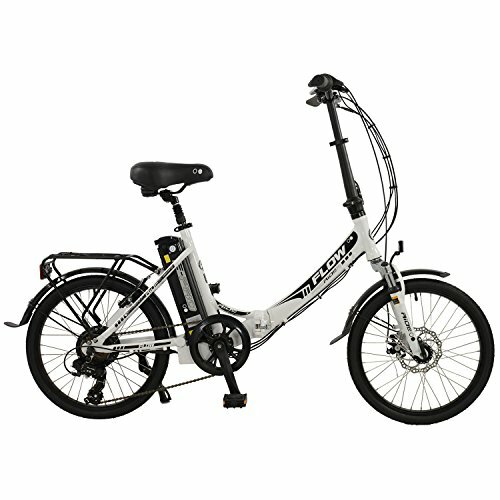 The Flow features an aluminium frame with front suspension fork and suspension seatpost to provide the ultimate in rider comfort, it has an easy to use 6 speed Shimano drivetrain that is operated by a Shimano Revoshift gear lever. The Flow features a comfy well-padded saddle and has a nice upright riding position from the height adjustable handlebars, it has front and rear mudguards to keep you dry in the worst conditions and an alloy rear pannier rack for luggage transportation. - Supplied 95% assembled - minimal home assembly required before first use.